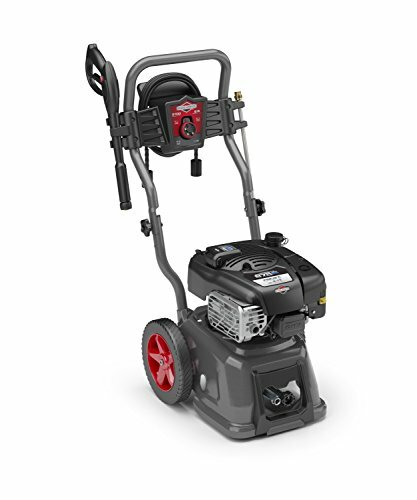 The S3100I was designed with an InStart lithium-ion powered starter so you can quickly and reliably fire up your productivity again and again without worrying about choking, priming or pull starts. And once you get working, a convenient 5-in-1 nozzle lets you quickly move from project to project without stopping to change nozzles. Very easy to move and transport. Requires storage of gasoline. Hose less convenient to store than others. Wand not as convenient to remove. Easy to use and read on-off switch. Best use for Fencing, Deck, Patio, Siding, Driveway, Paint Prep, Second Story. 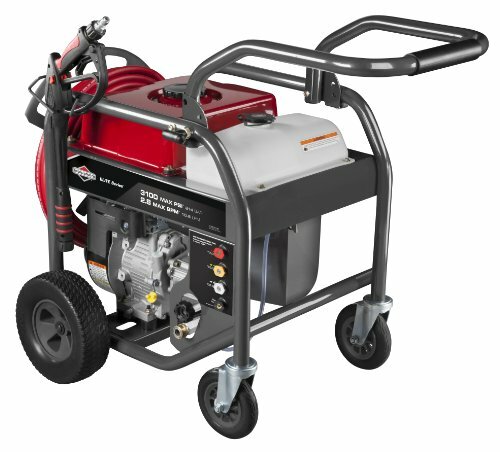 The Briggs and Stratton 3100 PSI is part of the Pressure washer test program. 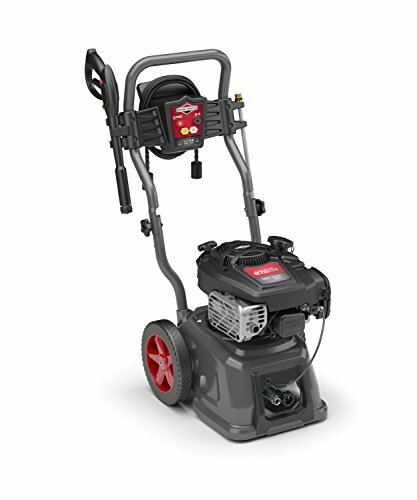 In our lab tests, Pressure washer models like the Briggs and Stratton 3100 PSI are rated on multiple criteria, such as those listed below.